Mehndi designs are famous in India and many other countries such as Middle East, North Africa, Southeast Asia, etc. 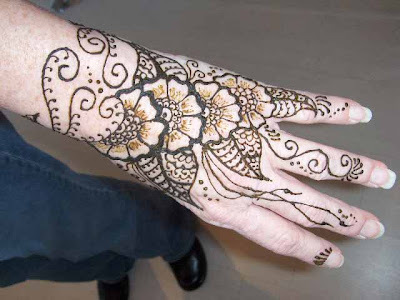 For special occasions and events such as wedding, parties and reunions to represent fertility and love, people apply henna as tattoos and other designs to their body specially hands, this art is known as Mehndi. 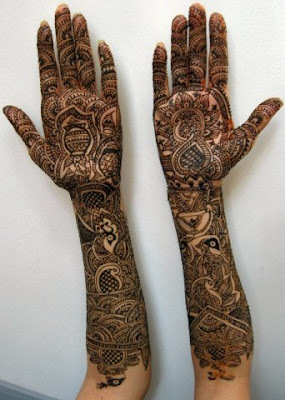 But at present, Mehandi becomes most popular so people are also applying henna designs on their hands just for fun. 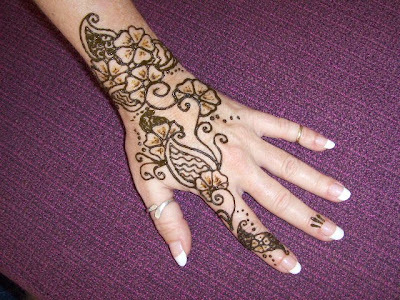 Mehndi designs represent many popular symbols such as a scorpion or growing vines in your design could represent love and protection from the evil eye. 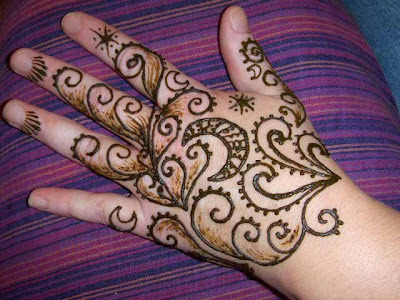 Camel lips, flowers, leaf, and other floral patterns in the design represent fertility. 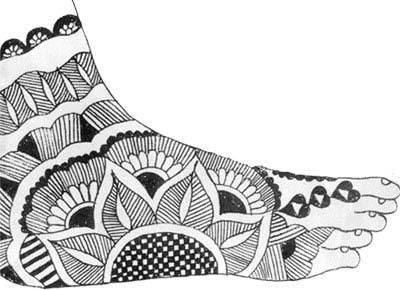 Placing mandalas throughout the design represents wisdom and spiritual enlightenment. Ganesh, the elephant god in the design means good health and protection from evil. Stylish peacock or paisley symbols represents love, fertility and good luck. In Asian countries, on the occasion of wedding, some traditions are to hide the name or initials of groom somewhere in the bridal mehndi designs for hands. If he can not find it, then he has to give a gift to the bride. It is also believed that the bride will be the dominant one in the relationship. 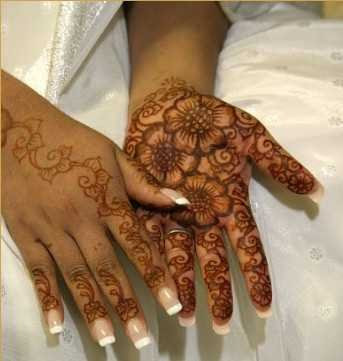 One other belief is that if the brides design becomes darker then the mother-in-law will love her. 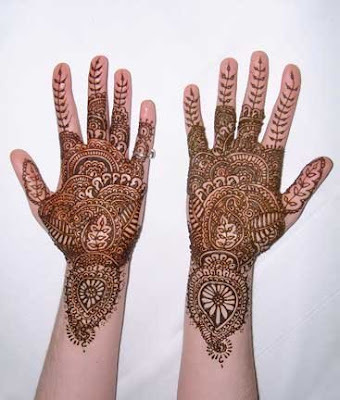 At present, Girls like to make linear and smooth Flower Mehndi Designs in a specific arrangement and leaves are arranged in a well sequenced zigzag manner. 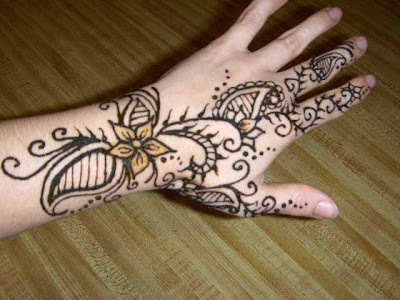 Girls mostly like to make beautiful and latest fashioned Mehndi Designs and Tattoos on her hands and on the opposite side of the palm. Women also make Mehndi designs or tattoos on various other parts of the body like the arms, back, belly, etc. 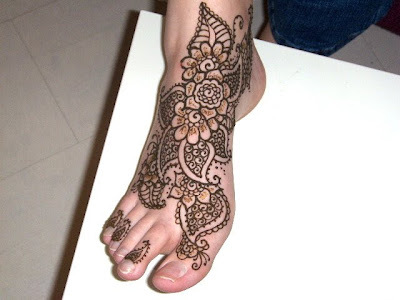 Arabic Bridal Mehndi design are also famous these days, they are made with not only floral styles but also stylish designs.